Lisa provides insight to Pathway Health while working closely with industry leaders, providers and professional associations identifying health care initiatives, regulatory changes and challenges affecting the post-acute care market. In this capacity, she is part of the senior leadership team and has primary responsibility for strategic positioning and marketing, communications, and new product develop to assist providers with thought leadership and operational solutions for success. 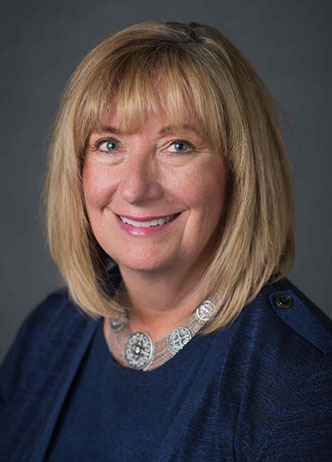 Lisa continues to provide education to providers and professional associations across the nation focusing on complex health care initiatives and leadership strategies for implementation. Since joining Pathway Health in 2001, she has been instrumental in numerous operational and regulatory projects. Lisa’s expertise and experience spans over 25 years’ in the post-acute and long-term care settings. Throughout her career, Lisa Thomson has been committed to supporting post-acute care operators by providing leadership, direction and targeted operational strategies to enhance performance outcomes. Lisa utilizes her extensive knowledge and broad base of experience to provide customers with expert, professional consultative services. She has held post-acute care leadership positions as service delivery, director, administrator, vice president and chief executive officer. Lisa’s practical hands on leadership style, industry knowledge and expertise are unparalleled in the industry.